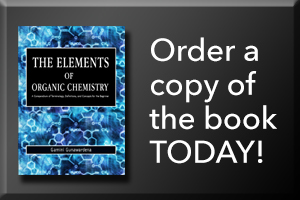 Title: The Elements of Organic Chemistry; Subtitle: A Compendium of Terminology, Definitions, and Concepts for the Beginner. The book contains everything on OChemPal except some recent additions, a few biochemical terms, and the Mastery Check feature. So, if you prefer reading a book to reading a screen, the book is for you.